Squeezy the Donkey is super excited to greet baby with his amazing surprise ears! Perfect to play together with little ones, just squeeze his tummy to POP up his adorable ears to say hello. Baby will love his surprise ears, happy smile and engaging eyes. Squeezy also features ‘clip clop’ and crinkle hooves to trot him all about. He also includes a velvety tail, textured ears, and satin ribbons for baby to touch and explore. The Lamaze clip lets you hook Squeezy to strollers, carriers and diaper bags to take him along for on-the-go fun. Eight times the fun for your baby with Lamaze’s Octivity Time. A gorgeous soft and brightly coloured friend to encourage little eyes to focus, your little one will love to explore all of the different patterns and textures, perfect for stimulating touch. Baby will love to clack the rings and play with the crinkle fabrics. Suitable from 6 months, each of the eight activity tentacles has an exciting activity for baby to discover and explore. Octivity Time has a gentle starfish teether for baby. Play peekaboo with the discovery mirror on one of his tentacles, helping self-awareness. Lots of fun to be had as baby spins the smiling starfish, promoting cause and effect play. An award-winning classic toy, the musical Lamaze Octotunes features a full octave of notes that allow mom and baby to make merry music together. Eight colorful tentacles are composed of different textures and patterns, and when squeezed, a different musical note can be heard from each. Young infants will love the bright colors and big friendly face, and older babies will enjoy exploring and learning that each tentacle plays a different sound when they grab and squeeze them. 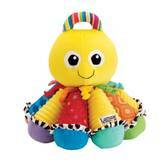 Watch your baby grow, discover colors and explore sounds and textures with the Lamaze Musical Inchworm. At 24” long, this soft, colorful baby toy doubles as a ruler to track baby’s growth! In addition to its rattles, crinkles, squeaks and jingles, this toy plays the musical tune, "If You're Happy and You Know It, Clap Your Hands.” Textures and sounds encourage exploration while bright colors promote visual stimulation. Makes tummy time fun! Lamaze’s Rylie Raccoon’s smiling face and cuddly body will soon become a favourite friend. Rylie’s eight textures hidden in his colourful coat will encourage touch and sensory discovery. Rylie’s soft ears and high contrasting patterns and colours are perfect for helping baby’s eyes to focus. Baby will love his soft apple-shaped teether, crinkle ears and feet. Squeeze Rylie’s squeaker tail to engage baby and watch for giggles. Ideal from birth onwards, Rylie’s easy to keep close to baby with his handy on-the-go clip, attached to a stroller or changing bag. Ahoy matey! Meet baby’s first shipmate, Lamaze’s Captain Calamari. This octopus pirate has eight knotted activity legs that are great for exploration. 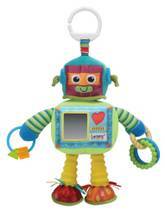 Captain has a hidden mirror that helps teach self-recognition and offers fun peek-a-boo play. Baby can discover his crinkle hat, fun rattle and clacking rings, perfect for helping develop fine motor skills. Captain Calamari includes a multi-purpose clip, designed to clip on to strollers or diaper bags so he can travel everywhere with you. Rusty’s ratcheting head allows you to mix and match his body. 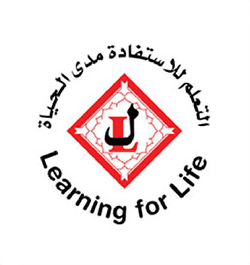 Full of developmental features that capture baby's imagination and stimulate the senses. Features: crinkle, ribbons, clanking rings, busy beads, and a discovery mirror. 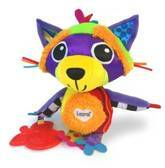 Lamaze link attaches to play mats, diaper bags, and strollers for on-the-go fun. The Lamaze’s Spin & Explore Garden Gym brings a new experience to your baby’s tummy time. Watch your baby giggle as they spin around gently on the soft padded ladybird cushion. All of the different bright colours and pictures on the mat encourage sensory discovery. Your baby will love visiting the five different areas of the garden; meeting several new friendly characters on the way. On the soft padded mat; baby can explore the different textures and layers that squeak and crinkle – all perfect for little hands to touch and feel. The Spin & Explore Garden Gym is suitable for babies from birth. Meet Lamaze’s Sonny the Glowing Bunny, he’s got lots to say and he loves to play. A soft and huggable friend baby, his bright colours and contrasting patterns will capture baby’s attention. When you bring Sonny home, choose your language – he has four to choose from. You and your baby will have lots of shared fun as you explore colours together. Press Sonny’s ears, and he’ll tell you the colour on his ear, promoting cause and effect play. Look at his tummy and baby will delight as it glows the same colour as his ears for colour matching fun. At night-time baby can cuddle Sonny and enjoy as his tummy slowly changes colour and he plays a gentle lullaby to help baby to settle. 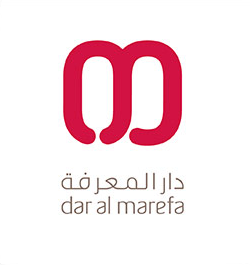 Suitable from 9 months onwards. Meet Lamaze’s Tilly Twinklewings, a magical unicorn who will soon become baby’s favourite friend. Her sparkly unicorn horn and crinkly wings are perfect for your little one’s hands to touch and will encourage sensory development. Tap his front hooves together for a clip clop sound to capture baby’s attention. With a bright rainbow mane and tail to discover, Tilly’s soft knotted and patterned legs will capture baby’s attention. Ideal for all babies from birth, Tilly won’t get lost on any adventure as you simply attach the on-the-go clip to your baby’s stroller or changing bag. 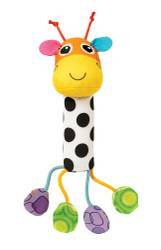 Lamaze’s Cheery Chimes Giraffe is the perfect size for baby’s little hands to grasp with a cute little face that baby will love. As Giraffe is shaken, hear soft chimes to capture baby’s attention. Play games with baby by pairing up the patterns on Giraffe’s soft floppy hands and feet. Watch as baby giggles when you squeeze Giraffe and discover the squeaky sound together. The handy fabric loop means that Cheery Chimes Giraffe can stay close on any adventure. Baby will be drawn to Giraffe’s big friendly eyes and gorgeous patterns and will make a wonderful new friend for your baby from 0 months upwards. The Cheery Chirper flamingo is the perfect size for babies to grasp and hold and features fun chirping sounds when baby shakes the bird. Babies will be delighted by the sounds they hear when they shake this adorable rattle. The Cheery Chirpers are great for helping develop baby's motor skills and have bright colours and high contrast patterns to stimulate baby's senses. Toot toot! Hear Toots squeak when you squeeze his colorful beak. Baby can chew on the bead ring and explore the multiple textures. 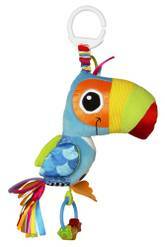 Toots the Toucan has crinkly wings, different textured fabrics and tons of bright colorful ribbons to delight baby. 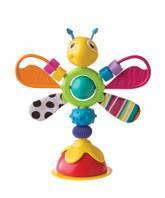 Features the Lamaze hook for on-the-go play. Baby’s favourite friend Freddie the Firefly loves to play while waiting for dinner. Part of the much-loved Freddie the Firefly range, he sticks easily to baby’s highchair or any flat surface with the suction cup. Freddie’s bright colours and different textured teething wings will encourage touch and capture baby’s attention from 6 months onwards. With lots of different activities for baby to explore, Freddie’s soft antennae, spinning ball and sliding beads will encourage sensory development. 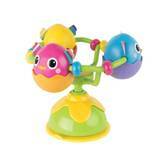 Meet Lamaze’s Twist & Turn Hatchlings, who baby will just love to watch spin round and round. Three gorgeous brightly coloured chicks that will entertain and engage baby at mealtimes, nestled safely in their individual differently coloured egg cups. Stick the hatchlings to baby’s highchair or flat surface with the suction cup. The rattling sounds as the hatchlings are spun will encourage sensory discovery. Baby will love to focus on the hatchlings flipping over and over. The fabric ears of each hatchling will encourage baby to touch and discover. Suitable for babies from 6 months onwards. Designed with development in mind, the Lamaze Tug and Play Knot is perfect for little hands to grab, hold, pull and tug to build coordination and strength. Baby can explore lots of bright colors, fun sounds and different textures to stimulate all the senses. 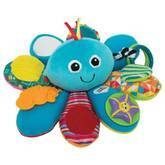 The vibrant knot includes a baby-safe mirror that helps teach self recognition and offers fun peek-a-boo play. 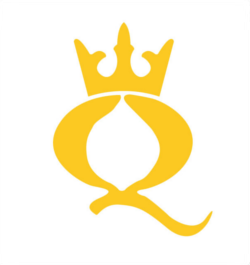 Discover surprise crinkles, jingle sounds, and a squeaker to help stimulate baby's auditory development. 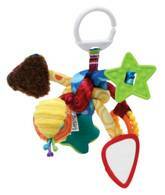 The star-shaped teether and clacking rings are great for chewing. Includes a multi-purpose clip, designed to clip on to strollers or diaper bags so it can travel everywhere with you. Lamaze Turtle Tunes brings colors to life with music. With a gentle touch to the soft plush shell, he plays up to seven different notes. Each section on the shell is color-coded to match the accompanying song book. Bright bold colors stimulate baby's developing eyesight. Turtle Tunes features three different modes of play; piano, horn and melody for a variety of music fun. Watch baby’s delight as Jacque the Peacock spreads his feature-filled feathers. This colorful peacock helps baby through first vital stages of sensory development. Jacque’s four brightly colored feathers stimulate baby’s vision, each with a different design. Baby will want to touch, grip and grab the multi-texture soft-touch velour body and crinkle feathers. When shaken, Jacque will surprise baby with a rattle sound. Baby can also find a self-discovery mirror, helping baby to learn how to focus. The Lamaze clip lets you hook Jacque to strollers, carriers and diaper bags to take him along for on-the-go fun.